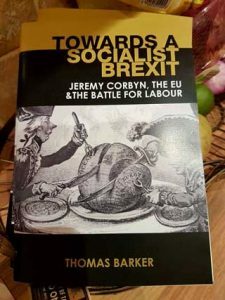 “For a start, it is worth pointing out that at present there is no appetite amongst the working class for a second referendum. This is evidenced by the complete wipe-out of the Liberal Democrats, who staked everything on a hard remain position in the General Election. Polls indicate that only a quarter of voters want a second referendum on the final deal with the EU. The number who want another in-out referendum ahead of that would undoubtedly be lower! The issue, then, is to define what sort of Brexit we want. A recent opinion poll by Opinium, published in the right-wing Daily Express, asked people to rate out of ten the most important issues for them in the Brexit negotiations. The highest at 8.31 was “ensuring the UK’s public services are well-funded”, followed by “ensuring jobs are available in the UK” at 8.28. These are the same anti-austerity demands put forward by the Left! “Reducing the number of people immigrating to the UK scored 6.88 – so it was an issue. However, it was 13th out of the 22 issues listed, and only one place ahead of “ensuring that EU citizens already in the UK are able to stay” on 6.78. When seen in the context of young Brexit voters, aged 18-34, “reducing the number of people immigrating to the UK” was the single least important issue! But the manifesto also talks of “retaining the benefits of the single market and the customs union”. If it means accepting its neoliberal rules, then this is a serious mistake. Many working-class communities know that – to the cost of industries such as car, steel making and shipbuilding – the capitalist Single Market doesn’t act in the interests of workers but of the multinationals. In 2016, for instance, Corbyn’s Labour proposed a £35 billion action plan to save Port Talbot and prevent the death of domestic steel making. But according to Articles 107-9 of the Lisbon Treaty, member states are barred from providing government aid “which distorts or threatens to distort competition.” Labour’s plans would almost certainly fall into this category, and would likely be considered illegal according to the rules of the Single Market.